The Sigma 135mm f1.8 Art is a bright mid-length telephoto lens available in mounts for Canon, Nikon and Sigma DSLRs with full-frame sensors and can also be used with Sony E-Mount bodies using Sigma's MC-11 mount converter. I think this lens is Sigma's best yet in their Art line: extra sharp, with only minor color aberrations and a beautiful bokeh. In addition it's the only f1.8 135mm lens you can get for your Canon or Nikon DSLR. It might be on the large and heavy side, has no image stabilization, and it definitively is not cheap but all-in-all the Sigma 135mm f1.8 Art earns a Highly Recommended. Check prices on the Sigma 135mm f1.8 ART at Amazon, B&H, Adorama, or Wex. Alternatively get yourself a copy of my In Camera book or treat me to a coffee! Thanks! The Sigma 135mm f1.8 Art is a bright mid-length telephoto lens available in mounts for Canon, Nikon and Sigma DSLRs with full-frame sensors and can also be used with Sony E-Mount bodies using Sigma’s MC-11 mount converter. With an f1.8 focal ratio the new 135mm f1.8 Art becomes the brightest telephoto of its length available for Canon and Nikon DSLRs as the Mitakon Speedmaster 135mm f1.4 is still at pre-order only and limited to 100 units. So in terms of wide availability, the Sigma 135mm f1.8 Art is pretty unique. Announced in February 2017, it’s has no predecessor in Sigma’s lens catalog. To be included into Sigma’s acclaimed Art series of top-notch lenses it should have very good optical performance and build quality. And as you would expect it is compatible with Sigma’s USB-dock to fine tune various characteristics of AF, plus if you change bodies, you can pay to have the mount swapped for your new system. This all comes at a price: 1400 USD / 1480 EUR is not exactly cheap but roughly in line e.g. with the Sigma 85/1.4 Art which is currently selling for 1200 EUR. As usual I’ll have a look at the technical data of the Sigma first. I’ve rated the features with a [+] (or [++]), when it’s better than average or even state of the art, a  if it’s standard or just average, and [-] if there’s a disadvantage. For comparison I use the Nikon 105/1.4E (“Nikon” for short) and the Samyang / Rokinon / Walimex 135/2.0 ED UMC (“Samyang”). The score in the “features-department” is 1[-]/5/7[+]. The major issue is its weight and size, but that seems to be the norm with modern large aperture lenses. Canon users can get the EF 135/2.0 L USM from 1996 which offers autofocus with built-in ultrasonic drive and, despite its age, remains a very decent performer albeit with very visible longitudinal CAs. It’s one third of a stop darker than the new Sigma but smaller and at only 750g much lighter for that and costs around 950 EUR. Zeiss offers the Milvus 135/2.0. It’s optically identical to their 135/2.0 Apo Sonnar from 2013 (see my Zeiss 135mm f2.0 Apo Sonnar review where it came with a Recommended). It is manual focus only and costs 2200 EUR. It is built like a tank and has very good optical quality. From Nikon there’s the venerable AF-S DC 135/2.0D from 1995. It offers autofocus (driven by the camera) and has a unique Defocus-image Control (hence the “DC” moniker) which can be used to change the appearance of out-of-focus areas. It costs around 1300 EUR and is not a bad lens. But it exhibits some very colorful aberrations as can be seen in the comparative shots of my Zeiss 135mm f2.0 Apo Sonnar review. Nikon recently added the 105/1.4E to their line of prefessional large aperture primes. This lens has a 22% shorter focal length than the 135mm competition but with its f1.4 focal ratio it is 2/3 of a stop brighter than the new Sigma. And with very good image quality it is a viable alternative to be considered. It costs around 2250 EUR. For more details see my Nikon 105mm f1.4E ED review. Samyang has the 135/2.0 ED UMC from 2015. 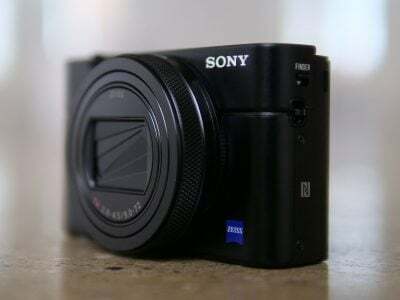 It is manual focus only and costs a mere 500 EUR (incl. 19% VAT). Its build is rather plasticky but it has excellent optical quality. See my Samyang 135mm f2.0 ED UMC review where it came with a Highly Recommended. Be aware though that only the Nikon version of the Samyang has an automatic aperture! Sony offers the SAL 135/1.8 ZA Carl Zeiss Sonnar T* from 2006 for A-Mount or via an adapter for E-Mount. It has autofocus but relies on the body to provide the AF-drive. It’s around 1500 EUR. Tests indicate that it’s a very good performer albeit with some serious longitudinal CAs. 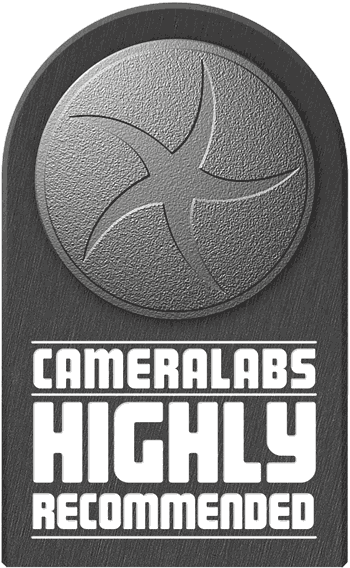 It’s smaller and lighter than the Sigma and uses 77mm filters. 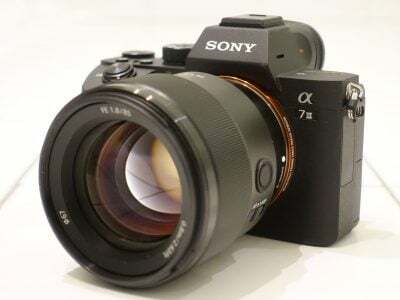 It does not offer image stabilization of its own (like any of the other lenses mentioned) but you have the advantage of the stabilization that the Sony bodies offer. But that is true for the Sigma 135/1.8 Art too when you use it on a Sony mirrorless body with the MC-11 E-mount converter. As noted in the introduction, there’s also the Mitakon Speedmaster 135/1.4, the brightest 135mm to date, but one that’s been at pre-order since announcement in 2015 and with only 100 units to be produced. So it essentially doesn’t exist for a comparison. It costs 3000 USD and weighs a whopping 3kg. Which focal length do you need? Focus accuracy and repeatability is critical to consistently produce sharp shots. Repeatability (the accuracy of focus on the same subject after repeated focus-acquisition) of this lens is pretty good (measured 96.7% in Reikan FoCal) with two slight outliers over a series of 40 shots. And there is a bit of performance variation whether the lens focuses from infinity or from a closer distance. The lens focuses fast in around 0.5 sec from infinity to 1.35m which is faster than the Nikon 105/1.4E with 0.8 sec or the Sigma 85/1.4 Art at 0.7 sec. The focus ring has no slack/play between its movement and the focus-action and a throw of 150 degrees, which is very good for accurate manual focus wide open. The focus ring offers a good grip with a 41mm broad rubber surface and movement is smooth enough to be operated with a single finger. It turns the same way as Canon photogs are used to but that is the wrong way for Nikon users. 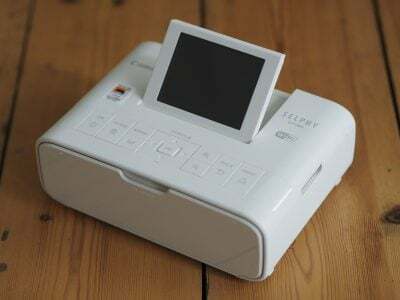 AF-operation is barely audible from the outside and if you record video with the built-in microphone there’s only a “zip” at the beginning and the end of focus-movement and the AF-drive is very quiet. As you pull focus, you’ll clearly notice focus breathing: the image becomes more magnified at closer focusing distances. When I adjusted the focus from infinity to 1.35m on the Sigma, I measured a 18% increase in magnification which is pretty high and might not please videographers. In comparison the Samyang only increases magnification by 12% but the Nikon 105/1.4E is even more extreme: it magnifies the image by 28%. Next check out my quality results or sample images.